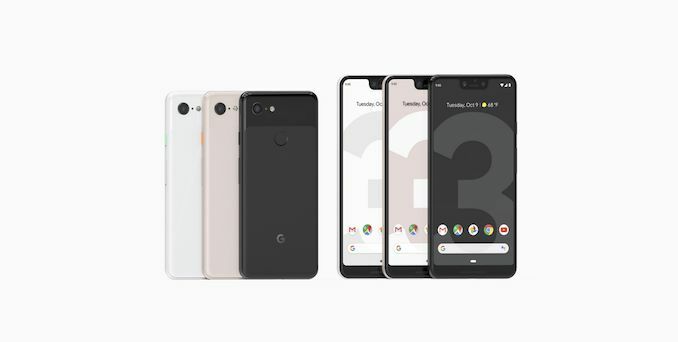 It has likely been the most leaked phone in existence, and while there’s a lot we’ve known about the new Pixel 3’s – today Google has finally officially announced the new devices at its launch event in New York. Here’s the summary of the new hardware of software of Google’s new flagship smartphone for the end of 2018. The Pixel 2 phones have been relatively successful phones for Google and grown to have a notable following. 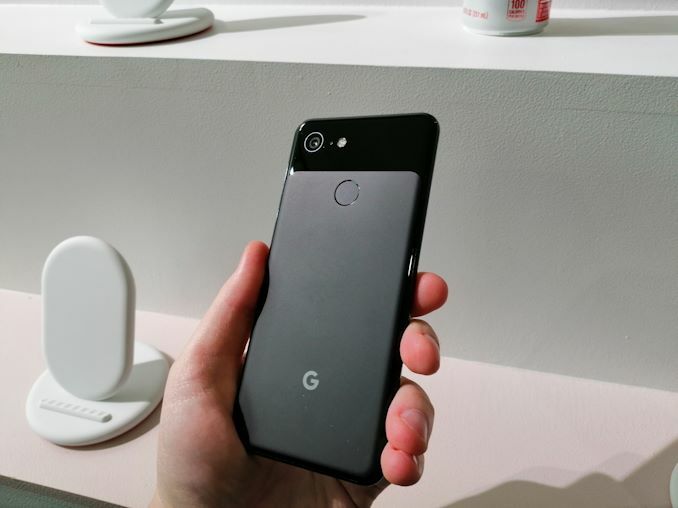 Today’s launched Pixel 3 devices iterate on last year’s phones, improving on aspects that differentiated Google’s phones from other manufacturers, such as the camera. Hardware wise the new Pixel 3 and Pixel 3 XL are powered by this year’s Snapdragon 845 processor. We already saw Qualcomm’s SoC in a mass of handsets from a variety of vendors, and it performed excellently in every one of them. For the Pixel phones, what would likely be a bigger differentiation, is how Google will handle the software side of things. Qualcomm’s Snapdragon 845 scheduler differentiated a lot from the “vanilla” Android kernel – and I think Google will want to continue to use its own scheduling. The device comes with 4GB of LPDDR4X. I don’t think this is an issue, even if some flagship devices this year sport larger capacities. Onboard storage comes in 64 and 128GB options. Starting off with the design of the Pixel 3, Google has elongated the screen aspect ratio to 18:9 and reduced the top and bottom bezels compared to the Pixel 2. Over this updates the design with the trend with what we’ve seen in 2018, as phone’s screen-to-body ratio continues to grow. 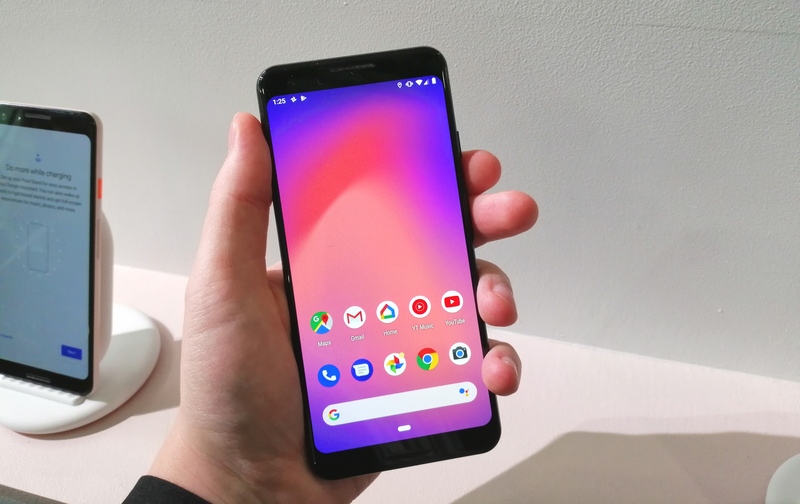 The Pixel 3 XL is where Google is definitely taking a large design risk: The new XL also increases the screen-to-body ratio over the 2XL, however this comes with the introduction of a massive new screen notch. Now I can’t really be accused of being anti-notch, as I found it to be a complete non-issue on all of this year’s reviewed devices, including Huawei’s P20’s, the OnePlus 6 as well as the LG G7. However Google’s take on the notch is definitely weird: It’s almost twice as high as that of other vendors, which makes one question exactly how this will actually look in daily app usages and if it’s actually of any benefit in terms of notification bar space. Subjectively, it does look ridiculous, but we’ll hold off definitive conclusions until we’ve had time with the phone. The new Pixels now introduce wireless charging, and this is thanks to the new all-glass backs of the phones. Google achieves the two-tone look by applying a new method that just etches part of the glass, leaving a similar glossy top as on the Pixel 2’s. This year’s water resistance has been raised to an IPX8 rating, up from the IP67 of the Pixel 2’s. Google seemingly didn’t certify this year’s devices for dust resistance – hence the missing number in the IP rating. As a reminder, this doesn’t mean that the resistance is any worse. Where the Pixel 2 XL didn’t shine is the screen: LG’s POLED panel on last year’s big phone suffered from large issues, with the biggest one being the screen’s terrible performance in low brightness, where it would just not be able to display darker colours and instead just clip to black. 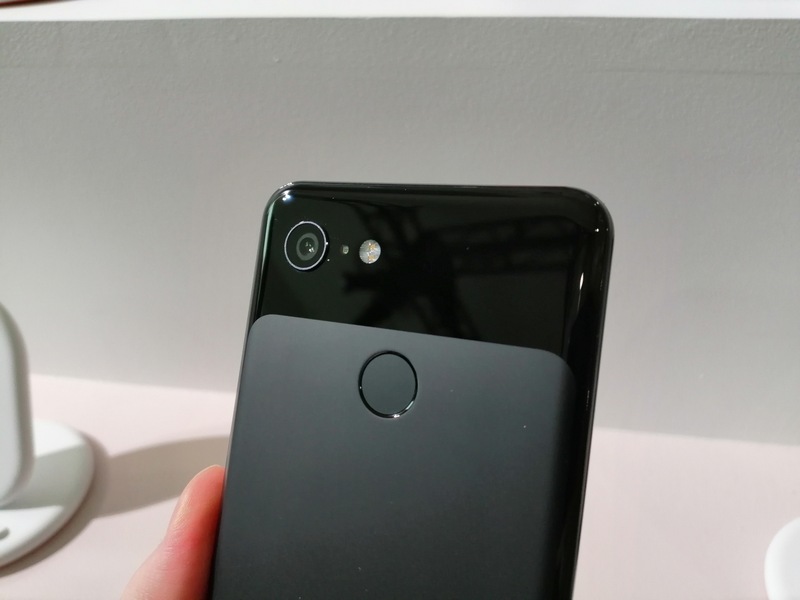 The new Pixel 3 XL at first glance seems to have improved a lot in this regard, and hopefully addresses what was in my opinion the Pixel 2 XL’s biggest issue. The camera on the new Pixel 3’s sports the same hardware characteristics: a single f/1.8 12.2MP rear module with a 1.4µm sensor as well as OIS. We don’t have much information on the sensor or how the camera hardware improved at the time of writing. What is clear though is that Google has vastly improved the software of the camera. The three highlight features are “Top shot”, “Super res zoom” and “Night sight”. Top shot looks to be a continuous shooting mode buffer around the time you are pressing the shutter button. The phone saves pictures even before you pressed the button, and allows you to choose the best shots in a series. 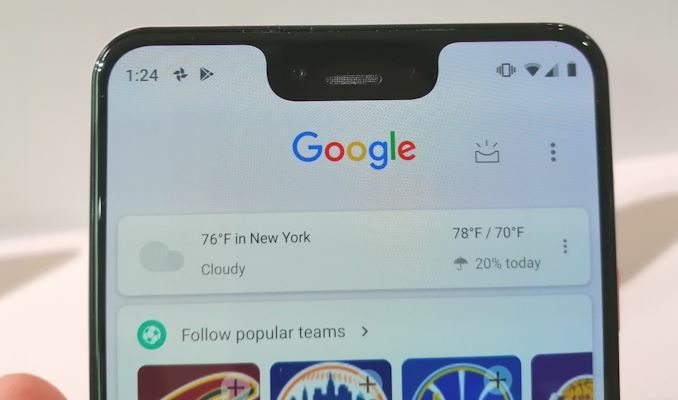 Super resolution zoom is something I’m very excited about: Even though the new Pixel 3’s don’t have a dedicated zoom camera, they still provide a zoom functionality with increased image quality. What Google is doing here is taking multiple shots in a very fast burst (or either using a continuous camera stream), and making use of the slight spatial variations caused by the movement of the camera to get multiple shots. These are then interpolated together with help of the Pixel Visual Core’s processing capabilities to create a higher resolution image. It would be very interesting to see if Google is able to produce higher resolution shots not only when just zoomed in, but also at full frame. Finally “Night sight” is something that sounds akin to Huawei’s new night mode – where the camera takes several exposures and recombines them in a stacked result that vastly improves the low-light performance of the phone. As for the Pixel Visual Core – we’re not sure if this is the same silicon as last year, or if Google has iterated and provided with a successor chip. The front-facing camera system has seen the addition of new wide-angle module, on top of the regular selfie camera. Both are 8MP units, with the regular one coming with an f/1.8 aperture and the wide angle offering an f/2.2 aperture. 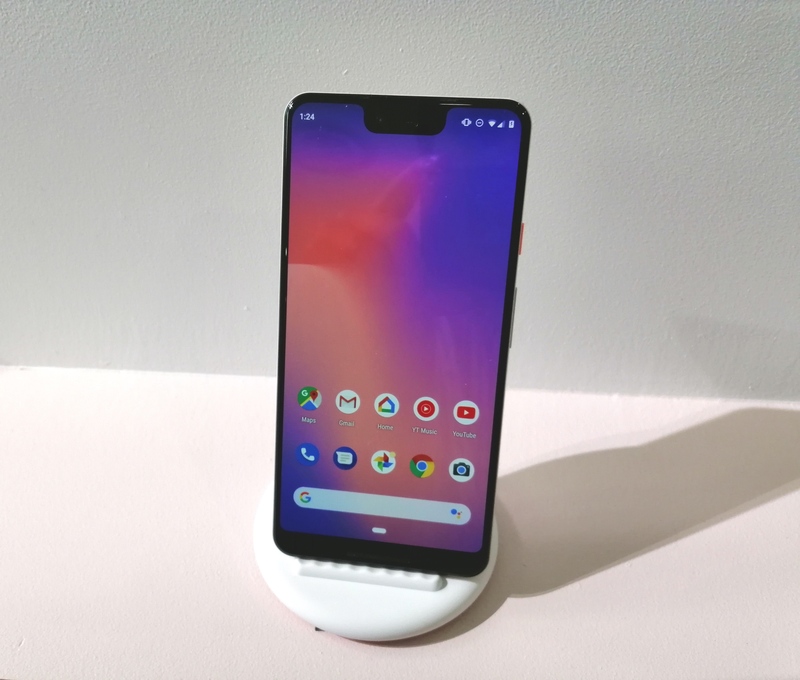 The new Pixel 3’s speakers are said to have also been vastly improved, being 40% louder as well as being calibrated for better low and high frequencies. Overall, today’s Pixel 3 launch event was very much centred around the camera, which Google confidently now calls the “best camera on a smartphone”. Certainly in terms of computational photography, it seems Google made big leaps, and I’m especially eager to see the new super resolution zoom and night sight modes work in practice. Google offers the Pixel 3 starting at $799 for the 64GB model, and $899 for the 128GB model. The Pixel 3 XL starts similarly at $899 and comes in at $999 for the larger capacity. The Pixel 3’s are available for pre-order now, with full availability in the US starting on the 18th, and European and other countries starting on November 1st. What's wrong with the notch? It even looks like this!! Yeah, someone (or people) need a good smack in the head to bring them back to reality. Yes it did - it's a large price jump for a device that feels mostly iterative. The most direct competition is probably the Galaxy S9 - with a MSRP of $719 (but which is very frequently on sale, or includes generous "freebies" due to various promos, whereas the Pixels almost never go on sale until very late in their product cycle). For $80 less, you get a the a similar-ish glass-and-metal phone with the same SoC and RAM (in the US), larger, higher-res screen, headphone jack, a camera that's good (though maybe not as good). Plus, you could have had it 7 months before you could have had a Pixel 3.